If I had a house, I would buy a rice cooker. Here are a couple of photos from inside the TaiwanMex. They have a rice cooker in the building I am in and almost daily cook rice. Ok, Rice is boring to eat, about as bland and tasteless as you can get, however it is make the perfect medium to add many flavoring. I have been on strict diet, no hot and spicy this or that, no adding pepper, no adding anything tasty, so trust me plain rice is boring. I do eat chicken fried rice, however I do not add anything to my foods now, so the spice is gone. 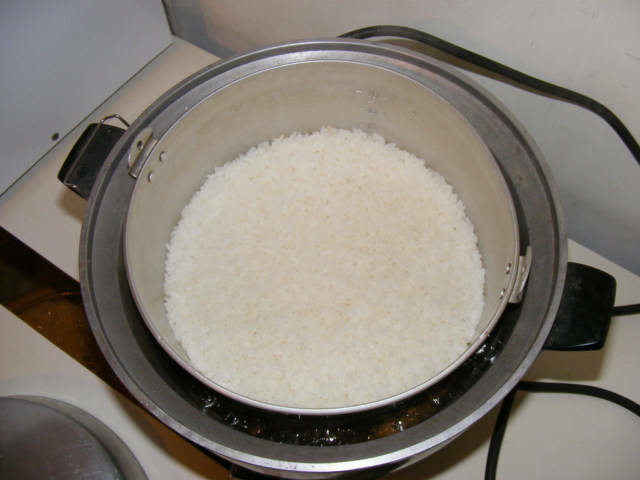 This is a rice cooker, at least they call it a rice cooker, it works sort of like a crock pot, however not the same. It has all the insulation, however must have some sensors to stop it when finished. Ok, they put the rice in this big steal pot, then put the pot inside the crock like cooker, I believe they put water in the bottom also. 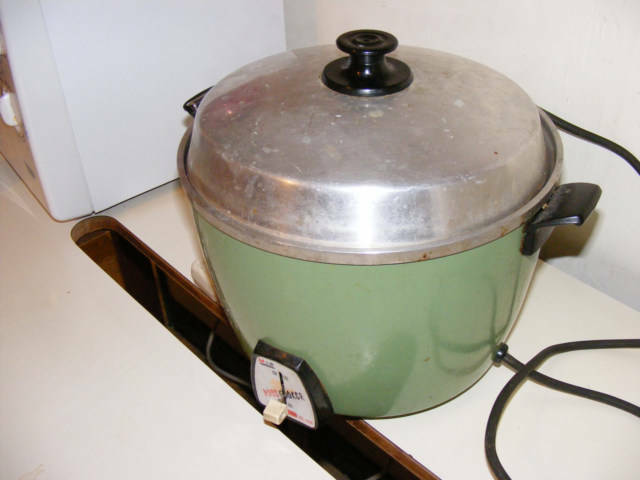 The steam boils off, yet does not leave the container, so it more or less stays in like a crock pot, however slowly evaporates away until the rice is dry and not soggy. There are many types of rice, more than I can possibly explain or have a desire a desire to explains. Rice is boring, however the ways they grow rice and cook and serve rice is interesting. Note, I truly believe the growing of rice is unnatural, they have turned the whole world into a pond thereby increasing the water surface of the planet by maybe 10 percent.